Light emitting diode (LED) lights are becoming popular in India by the day as they are less expensive and more efficient. The Indian LED lighting market was worth US $3.7 billion in 2016 and the sector grew by 17.5 per cent between 2009 and 2016. But their health impacts have been largely out of public domain. In 2016, the American Medical Association (AMA) said that LED technology may impact human health. LED lights emit light from the short-wave, high-energy blue and violet end of the visible light spectrum. This light range controls our sleep cycle and correct exposure is important to maintain our circadian rhythm. Little wonder that many people complain of itchiness, redness in the eyes and mild headaches after continuous exposure to LED lights. The AMA says that life-long exposure of the retina and lens to blue peaks from LEDs can increase the risk of cataract and age-related macular degeneration. Studies also reveal that light emitted by LEDs can cause retinal changes, if there is high exposure for even a short period of time. A 2014 study published in Environmental Health Perspectives reported the adverse effects on the retina of rats due to chronic exposure to LED lights compared with other light sources that have less blue light. These researchers suggested a precautionary approach with regard to the use of blue-rich “white” LEDs for general lighting. Satya Karna, a consultant neuro-ophthalmologist with the Narayana Nethralaya, Bengaluru, says the lens and cornea have inherent ultraviolet light blocking, but with age some light, including blue peaks, can reach the retina and cause damage. A study, which will be published in Vision Research in September this year, suggests that LED lights can cause headaches as they flicker too much. Compared to fluorescent lights which dim by around 35 per cent with every flicker, LED lights dim by 100 per cent. This can cause headaches by disrupting the movement control of the eyes, forcing the brain to work harder. 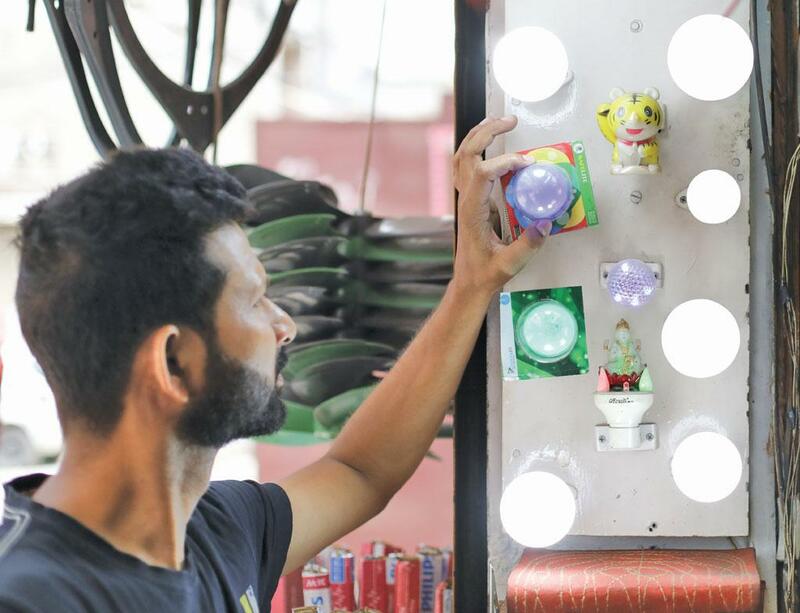 Monto Mani, an associate professor at the Indian Institute of Science’s (IISc’s) Centre for Sustainable Technology in Bengaluru, had a tryst with LED lights not so long ago. “While working with fine artwork/tools under LED lights, my students complained of intense eye strain and a diminished clarity. On one occasion, while working under LED lights for about 20 minutes, I developed an uncharacteristic pain in the upper part of the eye (ball) which nearly lasted till the next morning. We then decided to find a solution to the problem,” says Mani. Mani and his team tested most of the commercially available LED luminaire with a spectroradiometer and found the blue peak to be unnaturally high and very unlike the natural indoor light. Finally, through some quirk of intuition, Mani tested the lights after applying Kapton tape, a polyimide film that can remain stable across a wide range of temperatures. "To everyone’s delight, it did the job so well that one would even be convinced that these tapes were developed only to cut the blue peak. 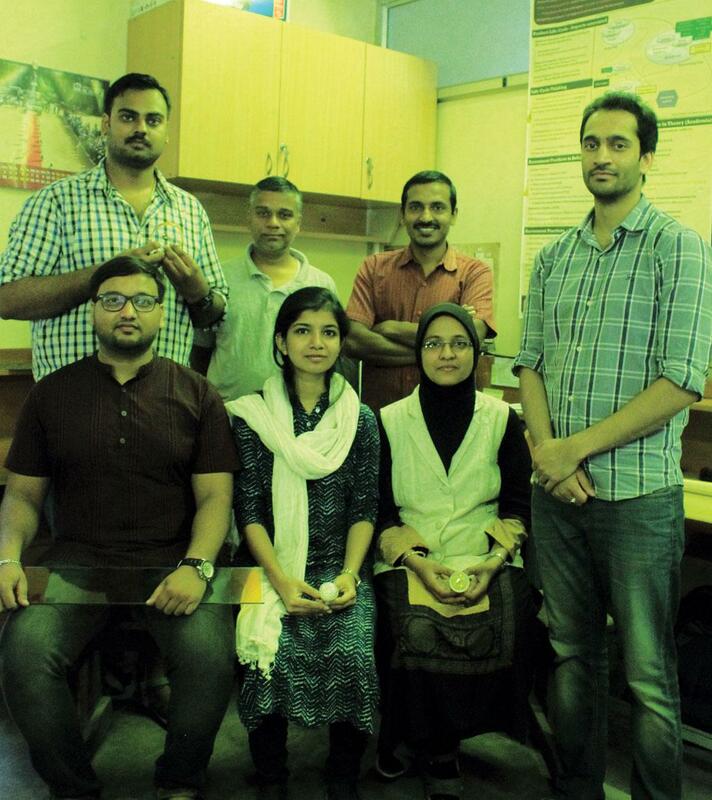 So much so, that our lab has all our LED lights with Kapton, and everyone who visits our lab feels that these lights feel good," says Mani. In light of the harmful effects of these radiations, many manufacturers are taking a serious note of blue peaks from LEDs and are moving towards warmer LEDs without the blue peaks. Most warm LED lights, 4,000 K and even 2,700 K, still emit an uneasy blue peak, but are much subdued from the cool daylight 6,000 K variants. Experts recommend the blocking of blue light in the 415-455 nanometres (nm) spectrum in LED lighting for commercial use. Experimental evidence indicates that exposure to blue light in the range of 470–490 nm may be less damaging to the eye compared to blue light in the 400–460 nm range. Experts say that the development of LEDs with a peak emission of around 470–490 nm may represent an important advancement in the safety of LEDs for ocular health. As LED lights are spreading rapidly in India, it is imperative to review their health impacts. This is also because many government programmes are pushing LED lighting, including the Union government’s Prakash Path programme, launched in January 2015 for efficient domestic lighting. There is a national programme for LED-based home and street lighting, and the Bureau of Energy Efficiency (BEE) too has launched a nationwide campaign under which LED lights will replace the incandescent bulbs to promote energy-efficient lighting. But for the common consumer, it may be wise to replicate Mani’s innovation. As he says, “We wanted to empower the common man with a simple and cost-effective DIY (do-it-yourself) technique to render the currently available lighting, as well as those who have already purchased and installed, safer for human (and wildlife) eyes.” IISc has, in fact, implemented Mani’s application for lighting up the campus and positive feedback is pouring in. It is really informative & helpful. But I need the information regarding the Kapton tape, & it's availability. I am also experienced some uneasiness to eyes & skeptic about the health hazards; & some participants of energy awareness programs are also having some sensitive experience like me.